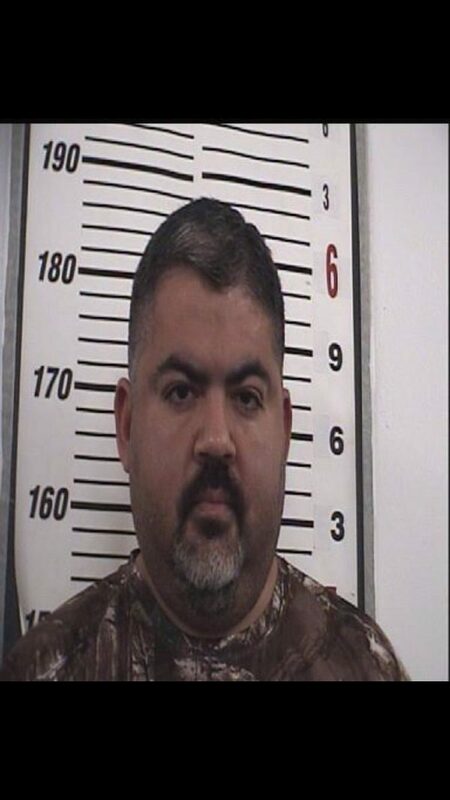 RIO GRANDE CITY — A school district employee was arrested Wednesday for attempting to bribe a state district judge presiding over the Chayse Olivarez murder case. Ricardo Lopez, who worked in the district’s truancy office, was arrested for attempting to bribe Judge Jose Luis Garza of the 381st state district court, according to Robert Caples, commander of the Starr County Special Crimes Unit. The amount of the alleged attempted bribe has yet to be disclosed. Lopez is accused of approaching Hernan Garza III, the judge’s brother and mayor pro-tem for Rio Grande City. Garza, who’s also an investigator with the county attorney’s office, reported the attempt at bribery to the unit, which began recording conversations between Lopez and Garza. The unit conducted an investigation Wednesday evening, with Lopez being arrested after he delivered the money to Garza. The bribe was to lower the $2 million bond set for Jose Luis Garcia Jr., one of the defendants charged with the murder of Olivarez, a 17-year-old teenager who went missing and whose remains were discovered in Roma in August. Juan Guerra, an attorney for the school district, said the district could not comment further on the matter because it was a personnel issue. However, he said the district took the safety of students and staff seriously. Nearly every magistrate has refused to arraign Lopez given the high-profile nature of the murder trial, according to a bondsman who spoke under anonymity. In a separate but related case, Olivarez’s father, Casimiro Olivarez, was shot outside of his residence shortly after midnight on Nov. 19. He is being treated at a San Antonio hospital. It remains unknown whether the shooting was connected to the teen’s death. County Court at Law Judge Romero Molina has been tapped to arraign Lopez Thursday evening. Caples said no other information will be released given the sensitive nature of the investigation, which remains ongoing. Lopez was placed on administrative leave Thursday, Guerra said.